Bryan and Katie Torwalt are worship leaders and songwriters who have a passion to see lives changed through encounters with the presence of God. This is the foundational premise from which their music is derived. The songs they write are declarative anthems for the body of Christ that reflect their passion for freedom, healing, and the assurance that God’s goodness surrounds us in any circumstance. 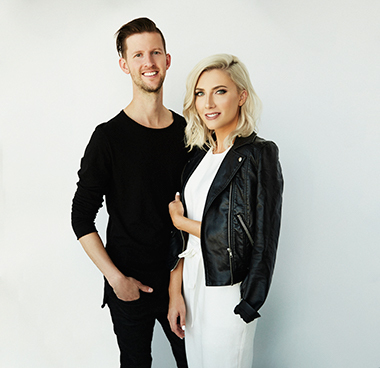 Realizing the likeness in vision and spirit, the Torwalts joined with the Jesus Culture Music label in the fall of 2010 as they began working on the debut album Here on Earth. As they brought pen to paper, they had no idea they were crafting one of the biggest worship anthems of this decade. The song “Holy Spirit” has since gone on to win a Grammy for best Christian song of the year and it continues to be a staple in worship sets around the world. Their second album, Kingdom Come, is full of dynamic songs of faith and praise. The latest offering from Bryan and Katie, Champion, conveys a message of the victory we have in Jesus, even in the midst of hardship, and points us towards holding on to the promises of God in our lives as believers. Woven from their personal journey they’ve walked through with their community, Champion is full of prophetic declarations of the ever-present God who has overcome for us. The passion and promise in these songs will bring encouragement and hope to anyone who hears them. Bryan & Katie Torwalt are excited to share their new Christmas EP, available now, for the upcoming holiday season. The four-song EP features three classic Christmas songs along with a revisited song, "Emmanuel (God With Us Forever)," from their 2016 project Champion. "We ended up binge listening to Christmas music pretty much the whole month of June this year as we selected what songs to go on the EP," shares Bryan & Katie about their new holiday album. "We love Christmas music so much that it was really hard to narrow it down. In the end we went with some classics that make us smile every time we hear them, and we loved getting to sing them. We kept the songs in that classic 50s and 60s sound with lots of strings, choir, upright bass and Christmas bells. We wanted to create Christmas music that we would want to listen to, a sound that reminded us of everything we love about Christmas." Bryan and Katie are worship leaders and songwriters who have a passion to see lives changed through encounters with the presence of God. And it is no different with their new holiday album. "The beautiful thing about Christmas time is that everything points to God and his Kingdom," they explain. "The birth of Jesus is at the center, and it’s incredible how our awareness of Him increases during the Christmas season, but even the acts of kindness and generosity, or emphasis on family are all in the heart of God. We hope our music brings joy in moments when people need it, and that people would become more aware of God, who is relentlessly good in the middle of it all."